A government-licensed DPLG landscape designer by training – at the École Nationale Supérieure du Paysage in Versailles – he worked for Alexandre Chemetoff before founding his own company. He teaches at a number of institutions on an ad hoc basis (schools of architecture and engineering, civil engineering training courses, etc.) and lectures on the relationship between mobility and planning in particular, as well as on the relationship between towns and nature, in Europe, Central America and Asia. Like all landscape designers of his generation, he began his career working on public projects. He has been working since 1995 on major public transport in exclusive right of way (TCSP) projects, the Strasbourg tram network in particular. More recently, he has developed regional projects that combine issues of urban forms, mobility and the environment. 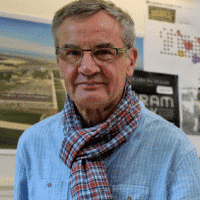 In 2000, he worked with the SCOT (Territorial Cohesion Plan) in Montpellier to devise and develop the concept of “inversion du regard”, taking a different perspective and rethinking urban space from what has yet to be built. He develops large-scale projects that combine ecological questions such as global warming, the relationship between cities and nature, and the transformation of the dislocated city. Project geography plays a growing role in his projects. He runs his multidisciplinary studio with the aim of remaining open to new issues, working with a circle of partners in a way that allows his work to evolve and his creativity to be stimulated. Alfred PETER was nominated for the Grand Prix de l’Urbanisme in 2014. 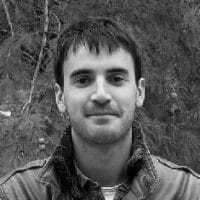 He joined the studio in 2016, after working for two years in India with the studio MADe. Based on his experience in Asia, he assists in the office’s outreach to international projects. He participates in all aspects of the project of the French Development Agency (AFD) in Anuradhapura, Sri Lanka that focuses on heritage promotion, tourism development and city operation improvement. He is also extensively involved in the development of the General Land Use Plan of Tbilisi, Georgia. He brings to the team his creativity and thoroughness, as well as his excellent knowledge of the Asian context. 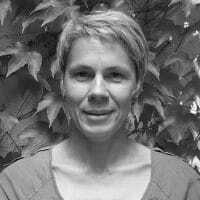 She joined the studio in 1997 as a project manager with two years of experience in the field of architecture. 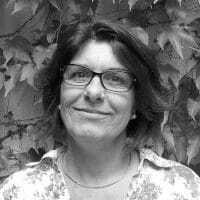 She has worked on all types of urban planning projects: communal transit, sea front (Cagnes-sur-Mer), squares (Forum de l’Ill in Illkirch-Graffenstaden) and parks; as well as on mobility issues: cycle networks, pedestrian plans, public transport; and infrastructure (Mont Saint-Michel car park). She manages projects independently from competition to execution. Versatile in an office setting and comfortable on-site, she particularly enjoys liaising with contractors, partners and other businesses. She joined the studio in 2013 after 18 years of experience in the fields of construction and architecture. She assists Alfred Peter in the development of applications for Requests for Quotes and oversees the administration of ongoing business, bookkeeping, secretarial work, business travel and diary management. HES SO landscape design engineer, graduate of the Écoles Spécialisées de Suisse Occidentale in Geneva. She joined the studio in 2008 as an industrial designer with 2 years of experience in design and local community offices. 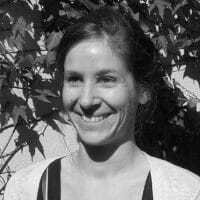 She oversaw the preliminary studies for the tram project for the Agglomeration Community of Greater Dijon and worked on the tram line extensions for the Urban Community of Strasbourg (lines A, D and E) and on studies for the Réseau à Haut Niveau de Service transport network in Dunkerque in particular. She saw the project through from the preliminary to execution phases. She provides quality and design precision, as well as her expertise and experience of public transport projects. She joined the studio in 1991 as an industrial designer. She has worked on projects in the preliminary, pre-project and project phases, in particular on the formatting of graphic documents such as maps, architectural visualisations, aerial views and rendering boards for competition presentations. She has collaborated on numerous projects to rehabilitate former mining wasteland sites, such as the Freymind-Merleback quarries, the vocation study for the Warndt Wendel quarry in Petite Rosselle, and the regional planning for the SCOT (Territorial Cohesion Plan) in Rosselle. Conscientious and hard-working, she is committed to achieving “beautiful” renderings. 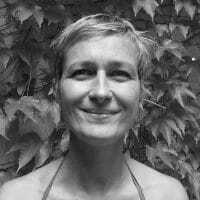 She joined the studio in 2008 as an industrial designer with 20 years of experience in other landscape design studios. She oversaw the Mettis-BRT project for Metz city centre from the competition to execution phases. 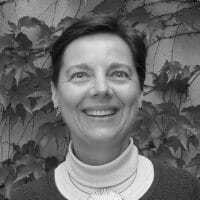 She is currently involved in the development of the Bayonne-Anglet-Biarritz A1 BRT line and studies for the Réseau à Haut Niveau de Service transport network in Dunkerque. She enjoys working in a team and her versatility and responsiveness bring added value to the project.